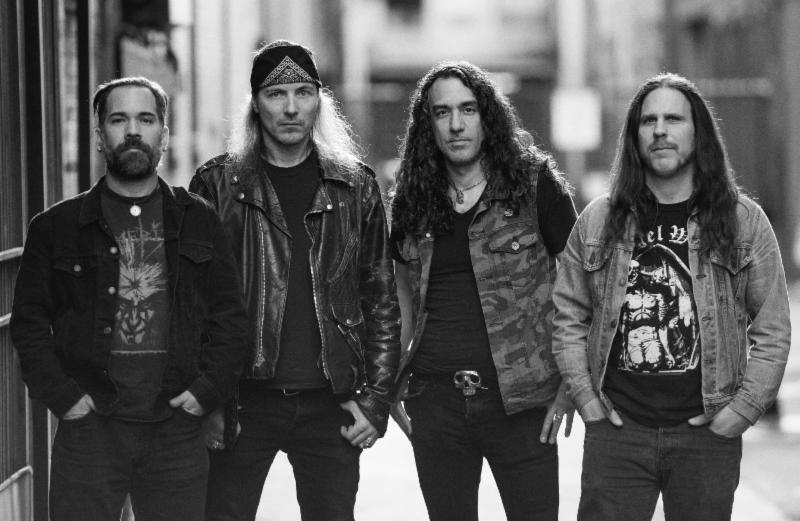 Extreme metal act EXPULSION — which features members of Repulsion, Exhumed, Phobia, Intronaut, Gruesome, and numerous others within its ranks – today shares a new track off from their forthcoming debut album Nightmare Future due out July 14th via Relapse Records. Hear closing track “Comatose” via a shared premiere through BrooklynVegan and Invisible Oranges HERE and HERE respectively. Produced by Matt Olivo, mixed by Toxic Holocaust’s Joel Grind, and mastered by Maor Appelbaum (Mayhem, Faith No More, Halford), Nightmare Future will drop on July 14th on CD, LP, and digital formats via Relapse Records. Physical preorders and bundles are available at Relapse.com HERE and digital downloads can be preordered via Bandcamp at THIS LOCATION. Spawned from the cerebral mind of grind legend Matt Olivo (Repulsion), EXPULSION combines grind, punk, and crust into a caustic musical vomit guaranteed to stack the corpses high. Olivo’s partner-in-grind, Matt Harvey (Exhumed, Gruesome) was recruited over beers in a sweaty Los Angeles apartment to bring his classic brand of oratory assault. The additions of veterans – drummer Danny Walker (Intronaut, Exhumed, Phobia) and bassist Menno Verbaten (Lightning Swords Of Death) – complete the fit-to-burn outfit. Expect nothing but the best of throat-shredding vocals, relentless blast beats, buzzsaw riffs, and raw bass tones. EXPULSION will leave you horrified with their vile brand of classic, ’80s sickness!